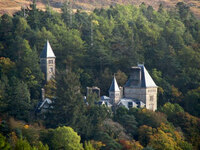 Alt Na Craig is a clifftop Victorian house and garden. 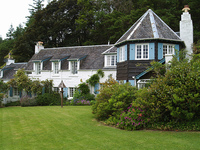 Rooms overlook the gardens and Oban Bay. 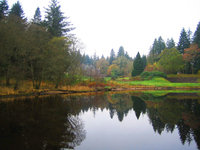 The grounds include a watergarden, a small river with a waterfall, prizewinning rhododendrons and Scots fir trees shaped by the winter winds. 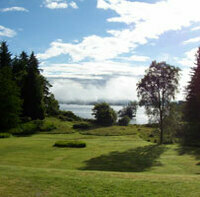 Alt Na Craig is a 15 minute walk from Oban town centre and offers free parking. 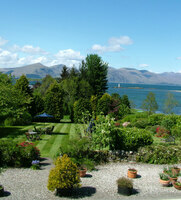 Scenic paths into the hills and glens south of Oban begin from the rear of the garden. 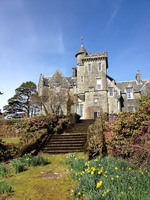 Gardens to visit while staying at Alt Na Craig include Armaddy Castle Garden (13 miles), Ardtornish Garden (20 miles), Barguillean Angus Garden (16 miles), Arduaine Garden (20 miles) and Torosay Castle and Gardens on the Isle of Mull (12 miles).